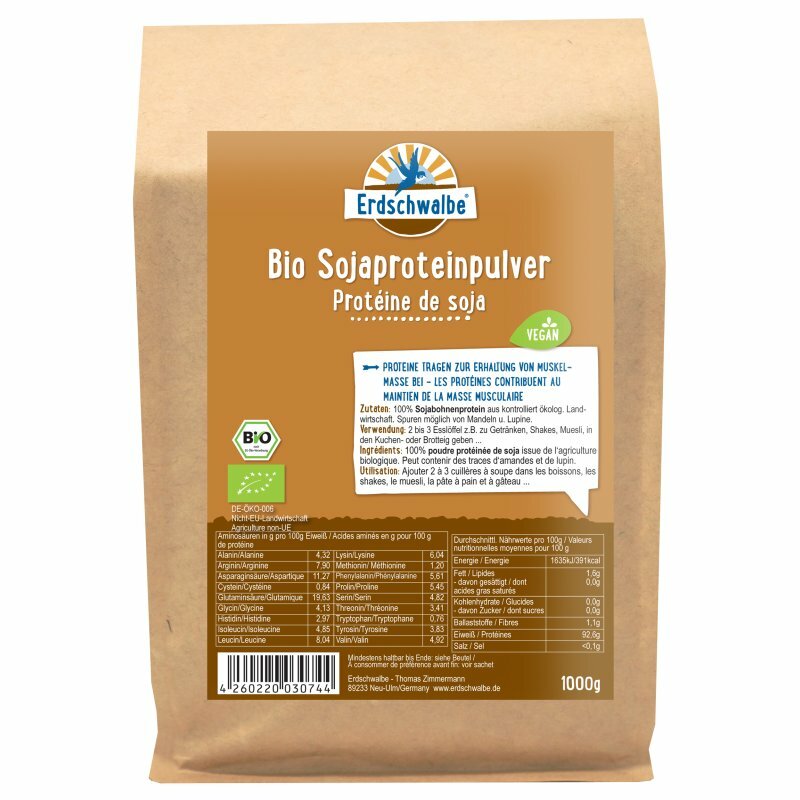 Erdschwalbe Organic Soy Protein Powder 1kg bag - Protein contributes to a growth in muscle mass. Ingredients: 100% soy protein from certified organic agriculture. - Protein contributes to a growth in muscle mass. 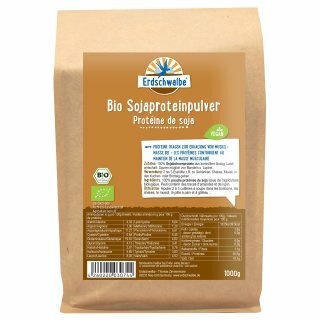 - EC organic quality without additives and thus guaranteed pesticide and GMO-free. Use: 1 to 2 tablespoons for drinks, shakes, muesli or similar, or add to cake or bread batter. Package contents ? net weight: 1kg paper-bag (reclosable).